Lovćen is a mountain within the heart of Montenegro’s coastal range, rising abruptly from the dark maquis and olive-clad hills between the coastal towns of Kotor and Budva to descend more gently inland to the old capital of Cetinje. The mountain is the most accessible of them all, as there is a road running round the base and another over the top. There are two summits sitting side by side, the lower of which supports the mausoleum of the 19th Century prince-bishop Petar II Petrović-Njegoš. The smooth-stoned, squat mausoleum is a monolithic, Euler brick design; it was constructed in the 1970s, controversially replacing the original design of a Byzantine chapel that was destroyed by the Austro-Hungarians in the First World War. The mountain was declared a National Park in 1952. Lovćen mountain in late May from the road above Cetinje. 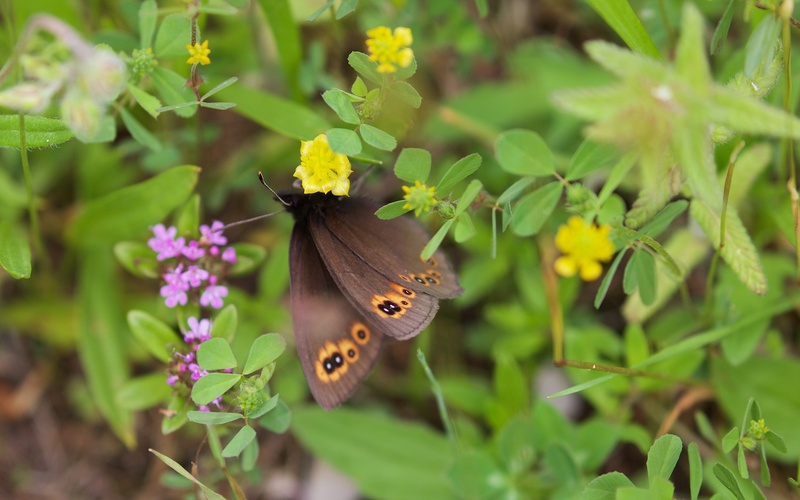 The mountain is a perfect place to study ecology since the roads provide a transect up and down the mountain along which the vegetation and associated fauna may be observed and recorded. 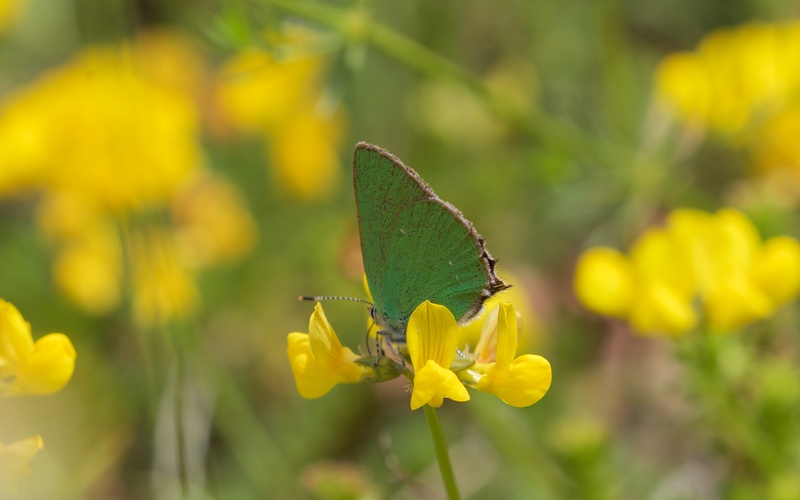 The only problem is that the biological diversity at the end of May is so high and many species are tough to identify. Even so, Lovćen is a natural classroom and a lovely place to visit. In early April, the mountain is snow covered and the upland beech (Fagus sylvatica) forests bare. 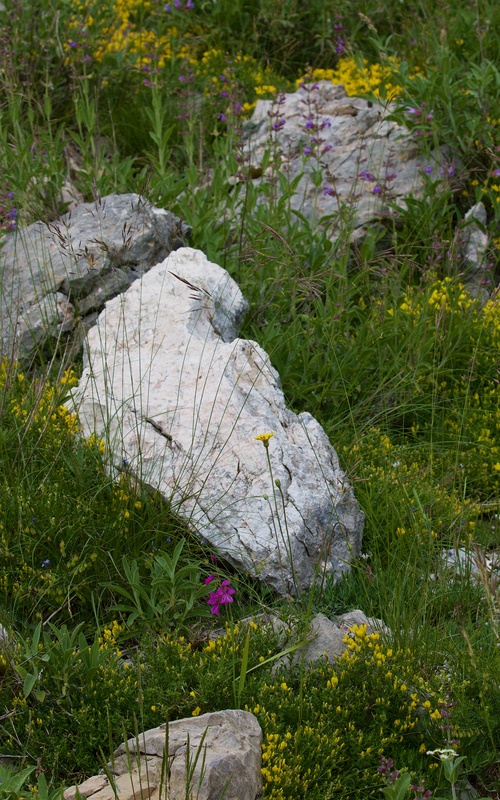 Ancient pine forests cling to the cliffs beneath the summit of Štirovnik. Only the sound of ravens fills the air. The road is cleared of snow between Kotor and Cetinje but the track to the mausoleum is knee deep in snow. 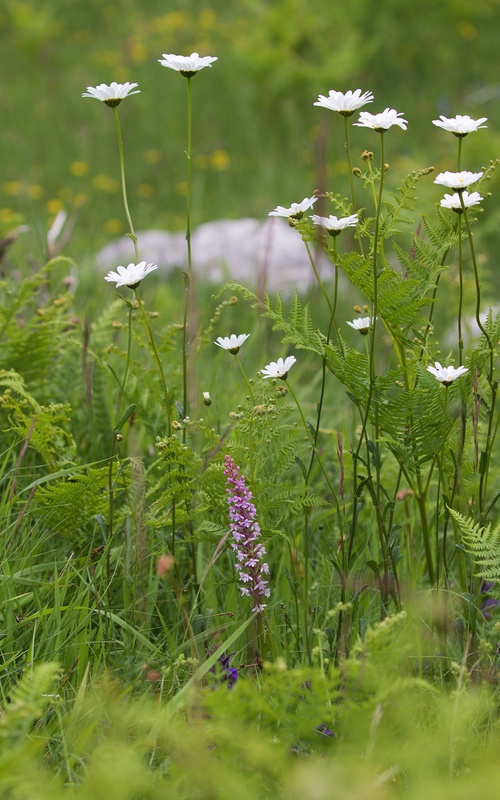 By the end of May, the snows are gone apart from a few high, north-facing slopes and the flowers are profuse in the meadows and clearings. 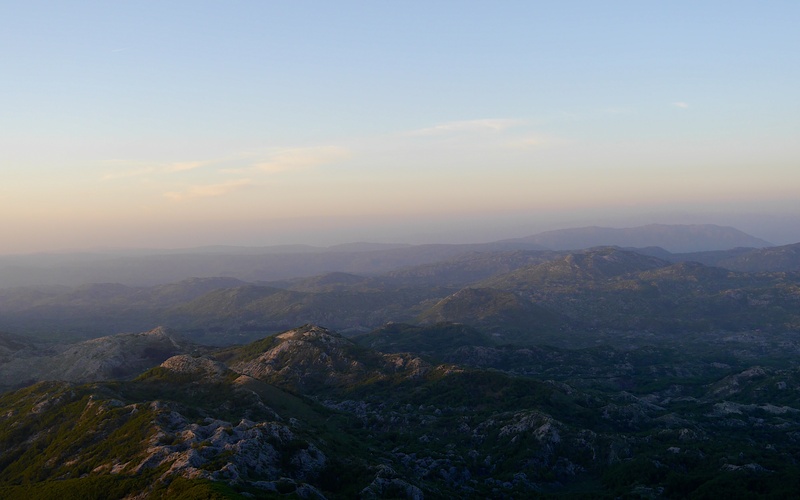 Lovćen on April 2nd; the summit of Štirovnik (1,749 m) with its communications mast is on the left. The view from the summit of Jezerski vrh (1657 m) from the mausoleum in May, looking over endless oak-hornbeam forests and karst landscape. On May 28th, I drove up from Cetinje and stopped first at 850 m a.s.l. and explored the woodland glades and then the old meadows. The plants were brilliant yellows and purples and the vegetation heaved with crickets and occasional green (Lacerta viridis) and wall lizards (Podarcis muralis). I then moved up to 950 m a.s.l. and the vegetation was dominated by beech with juniper (Juniperus communis) and other shrubs. 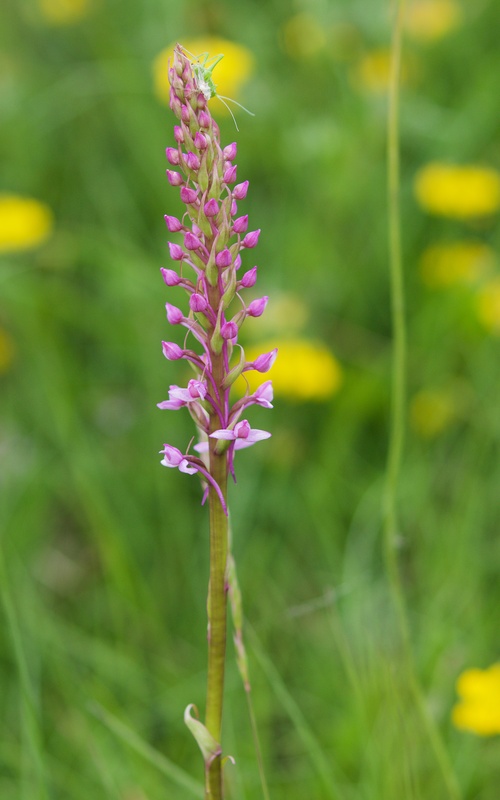 Here the grasslands were shorter but littered with tall orchids and broomrapes. Male red-backed shrikes fought over the bushes slopes with angry rasping calls. The summer farms were quiet with only one or two occupied during the week. 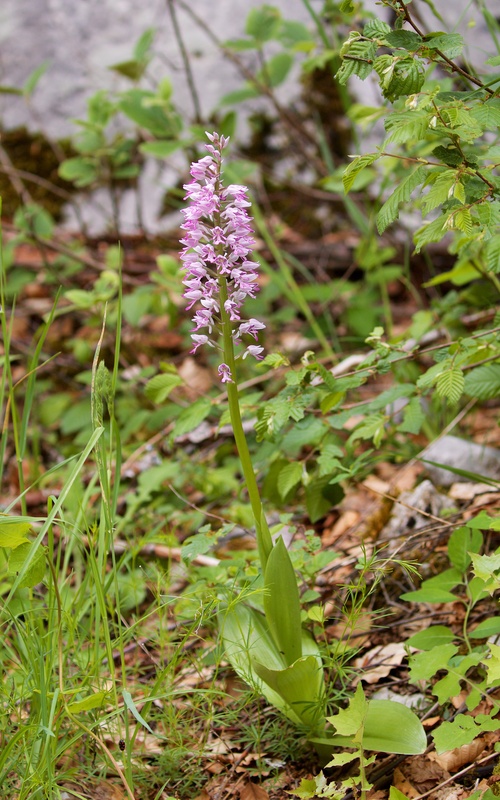 Diverse and pretty vegetation within a woodland glade at 840 m a.s.l. 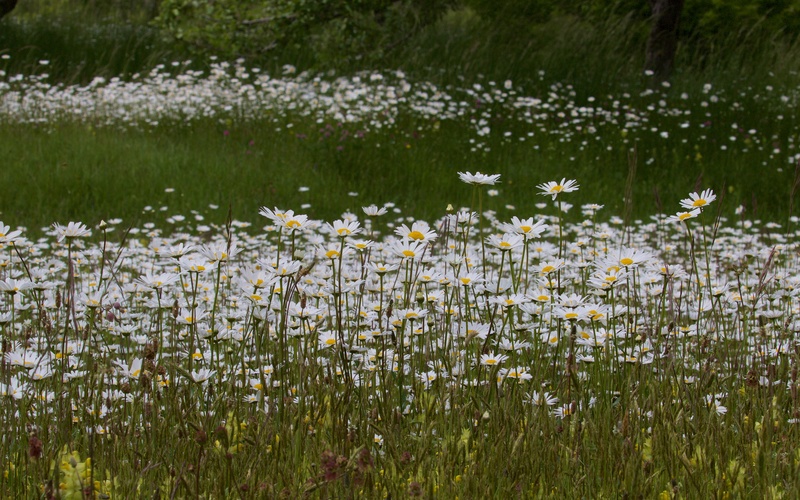 Vegetation within meadows dominated by ox eye daisies (Leucanthemum vulgare) at 840 m a.s.l. 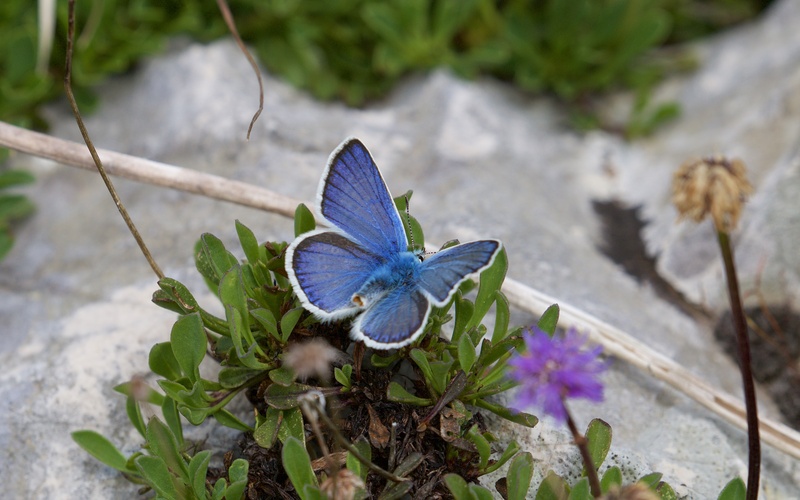 The mountain clearings were full of blue butterflies as well as green hairstreaks (Callophrys rubi) and best of all a clouded apollo (Parnassius mnemosyne), which is a species in decline across much of Europe. 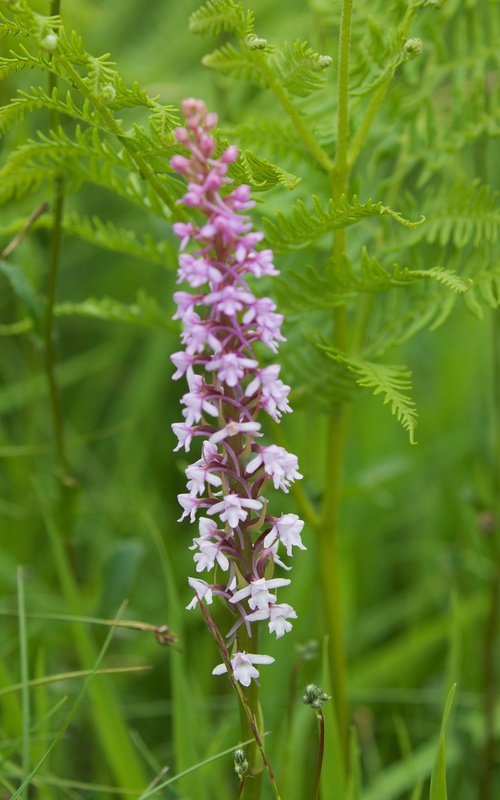 The orchids were diverse too, with military (Orchis militaris), fragrant (Gymnadenia conopsea) and common twayblade (Listera ovata). 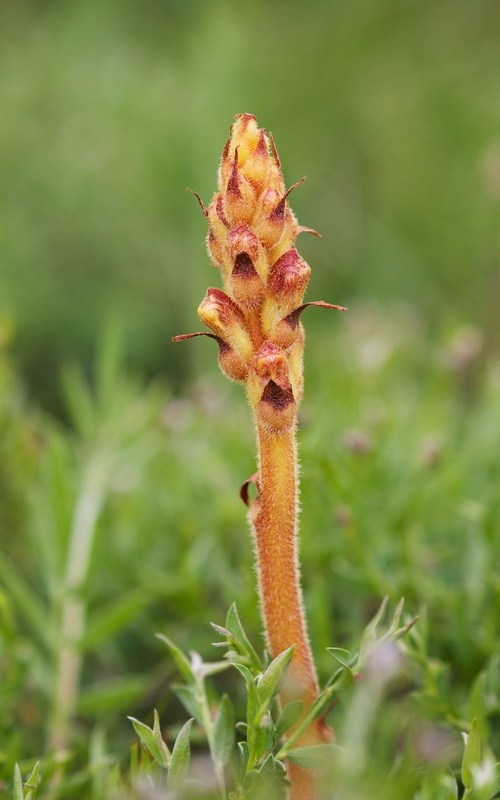 Broomrapes were common, especially on the grasslands at 940 m, and were possibly knapweed broomrape (Orobanche elatior). 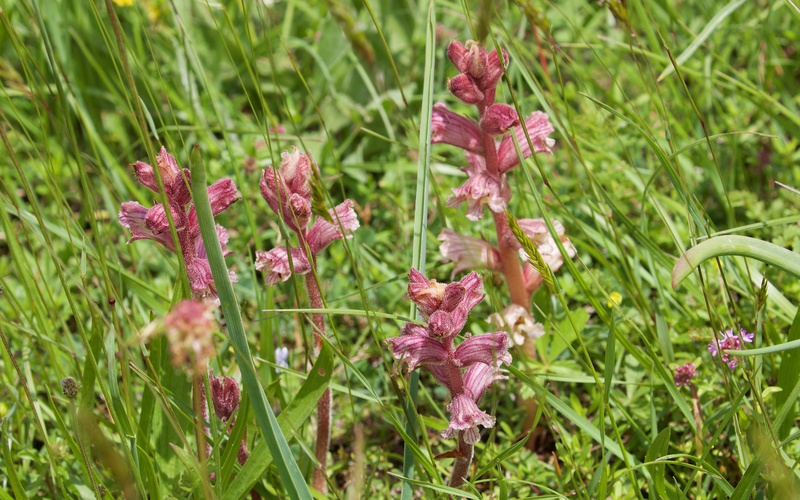 Lower down, in the clearings I found one or two purple stalks of what I think are thyme broomrape (Orobanche alba). Unfortunately, the weather turned and the clouds thickened and so I did not venture higher. 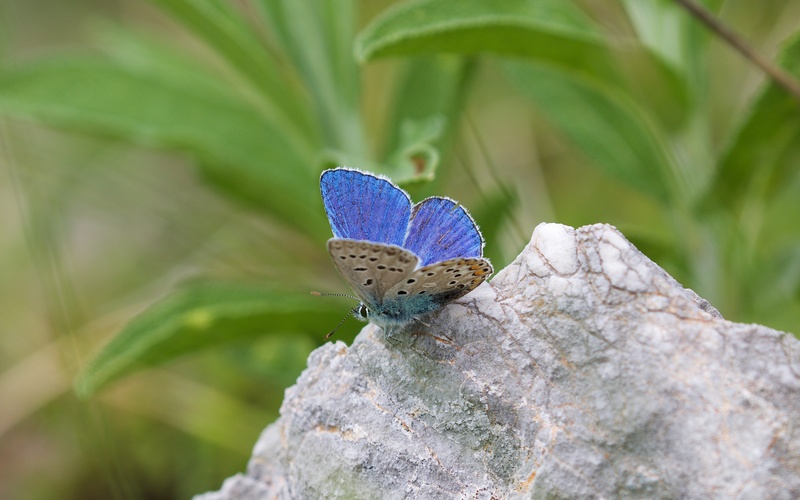 The mountain really needs at least a week of survey to get to grips with the diversity of plants, insects and birds and my visit is thus but a snapshot. 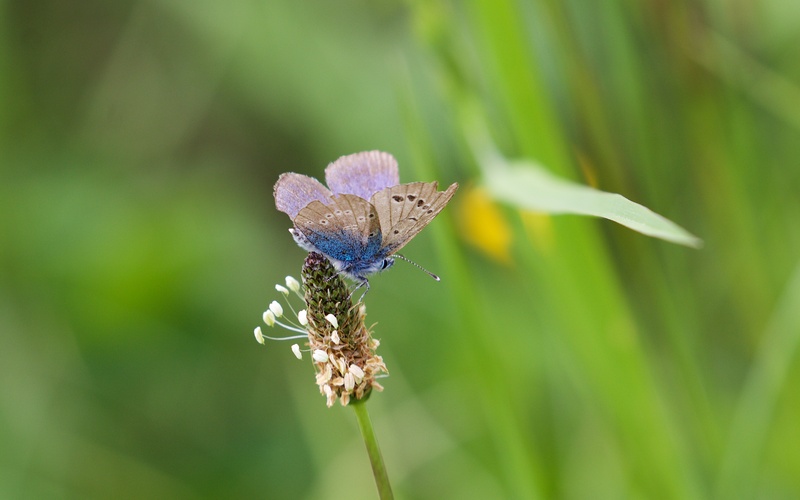 Anomalous blue (Agrodiaetus fabressei) and an unidentified vivid blue species, possibly Chapman’s blue (Polyommatus thersites). 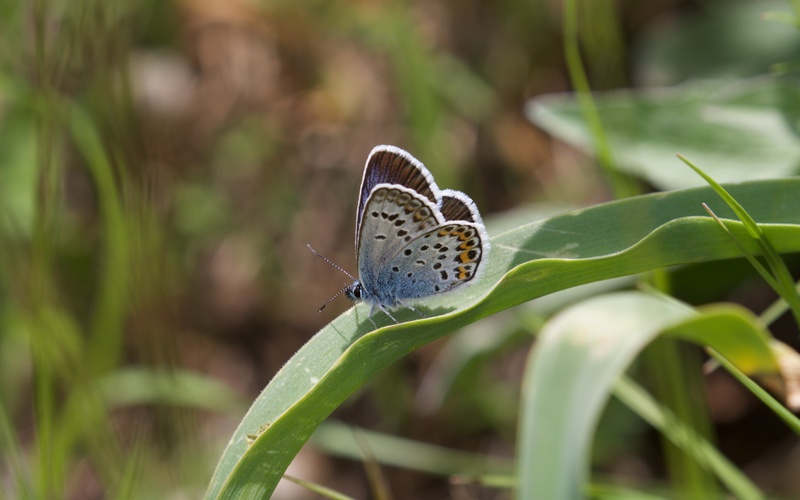 I think these two are Osiris blue (Cupido osiris) and Escher’s blue (Polyommatus escheri). 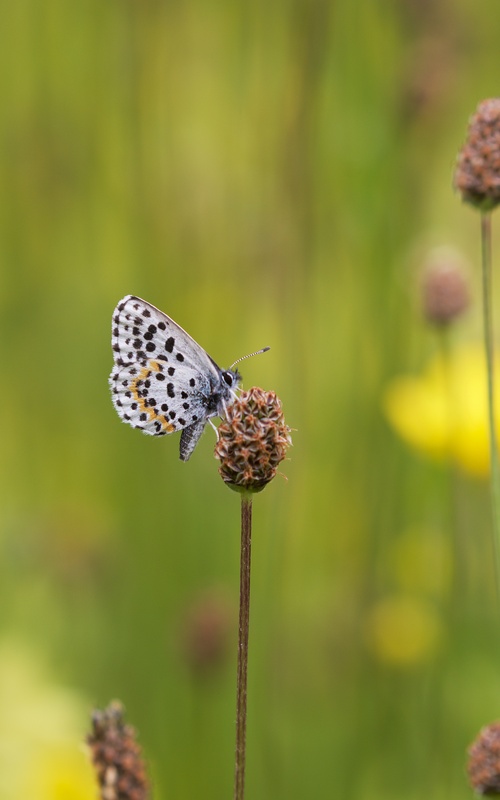 Chequered blue (Scolitantides orion) and silver-studded blue (Plebejus argus). 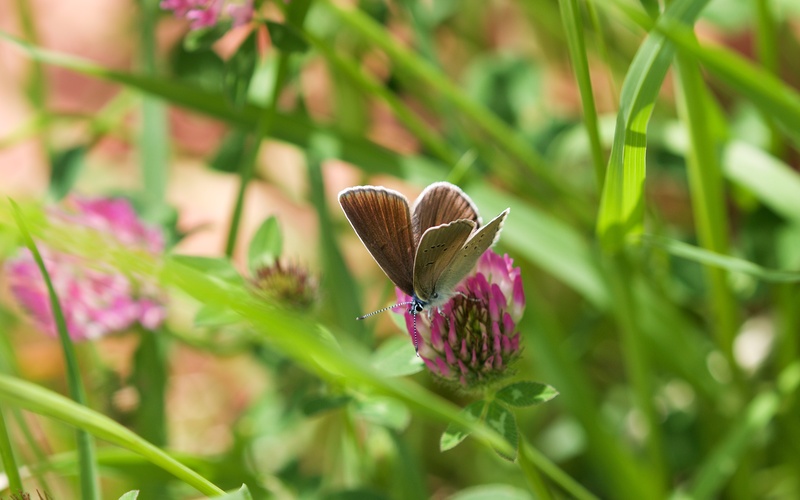 Green hairstreak and woodland ringlet (Erebia medusa). 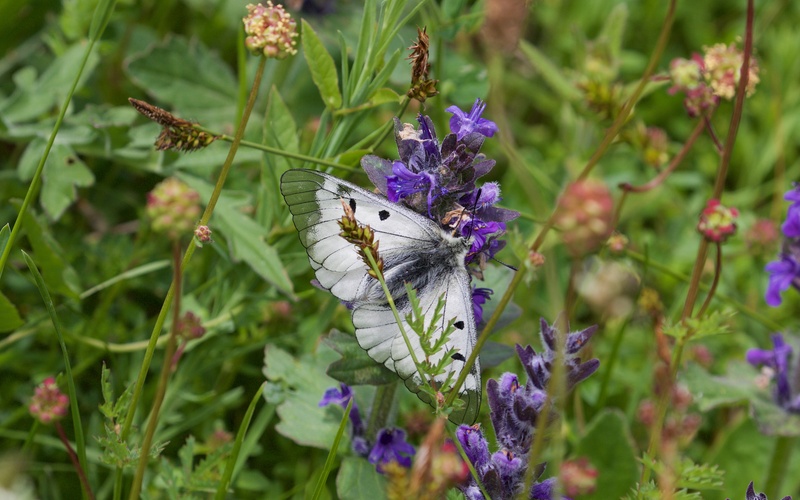 Clouded apollo on bugle (Ajuga reptans). 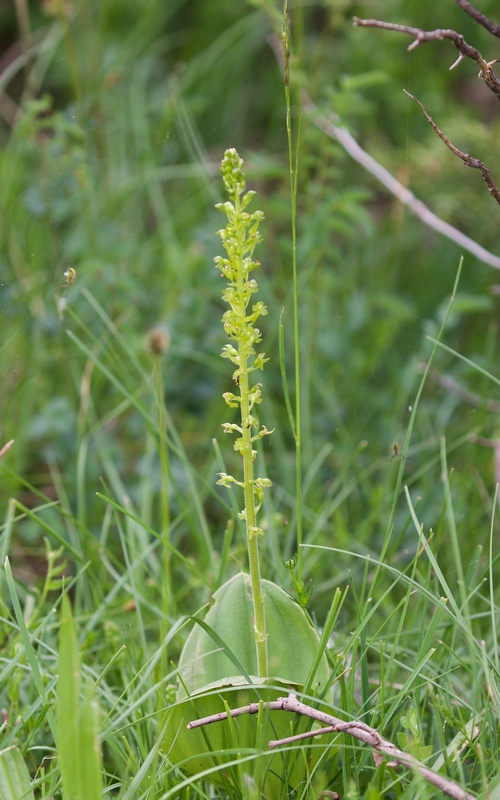 Military orchids and common twayblade. 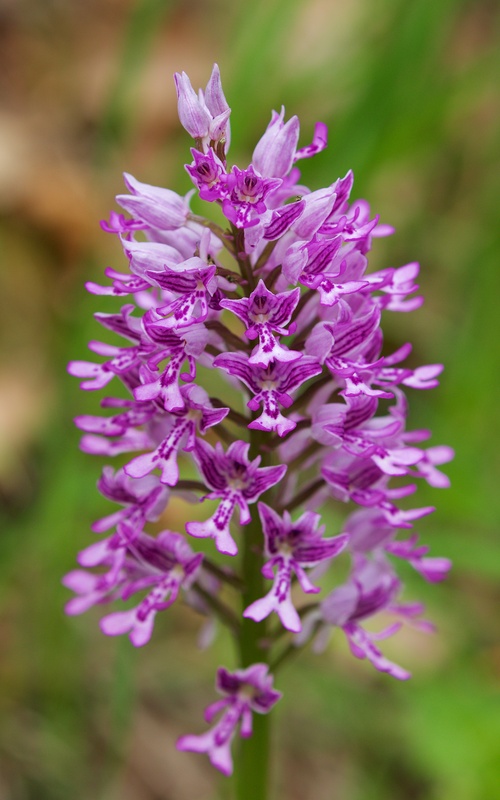 Two views of a fragrant orchid. I think knapweed and thyme broomrapes.